During my most recent maternal leave, I realized I didn´t want to go back to my old job. The position was unfulfilling and I had a bad conscience about neglecting my motherly duties. I also knew the promotional chances at my old job – despite additional training – were slim to none. And – to make things even worse – the salary was pathetic. Needless to say, all this caused me to be pretty unhappy with my work situation. So, I decided to go on maternal leave. Moving can come with a lot of changes: a new city, new accommodations and, in our case, some pretty bare walls. In November we waited with anticipation to see the clickworker portraits we invited you all to send in. And the time has finally come: we´ve finally settled in, owing in no small part to the many friendly faces around us. 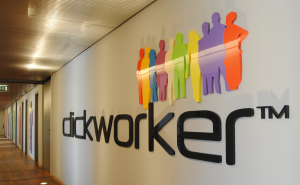 And now we´d like to proudly present to the rest of the world our new digs and our clickworkers. 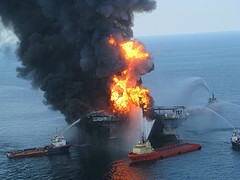 The world was shocked on April 20, 2010 as BP´s oil drilling rig Deepwater Horizon exploded in the Gulf of Mexico. According to the US government more than 780 million liters (about 206 gallons) of crude oil spilled out of the well over the next 12 weeks, until finally, on the 86th day the well was covered by a giant, make-shift cap. In early August, mud and cement was pumped into the well to seal it. Pressure relief drilling – which took place from mid-May through mid-September – helped to pump in even more mud and cement, permanently sealing the well.